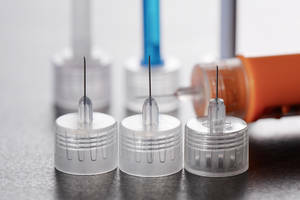 Torrington, Connecticut – Dymax Corporation, a leading supplier of adhesives to the disposable medical device industry, will exhibit in Booth #1657 at MDM East, scheduled to take place June 9-11, 2015, at the Jacob Javits Center in New York. With over 30 years of direct participation, Dymax continues to provide medical device manufacturers with innovative adhesive products and assembly solutions which result in improved productivity and reduced processing costs. 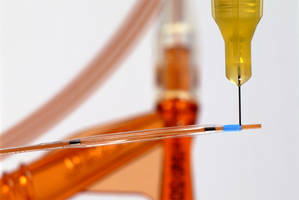 The company will showcase some of their newest products and technologies including 215-CTH-UR-SC, an LED-optimized catheter adhesive for rapid bonding of a variety of substrates including Nylon 12 and PEBA. Formulated with new Encompass™ technology, 215-CTH-UR-SC provides secure bonds with the added benefits of easy cure confirmation and post-cure bond-line inspection. Visitors to the booth will also see a variety of adhesives for needle and catheter bonding, and curing demonstrations featuring the company's conveyor, flood, and spot-curing LED systems. 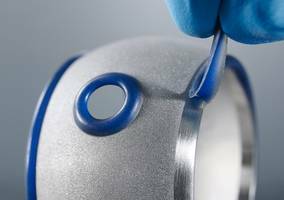 Dymax solvent-free, USP Class VI, and ISO 10993 biocompatible light-curable adhesives and light-curing equipment optimize adhesive curing speed and process efficiency for all facets of medical device assembly. Clear, high-strength adhesive bonds form to metal, glass, and a variety of medical plastics. 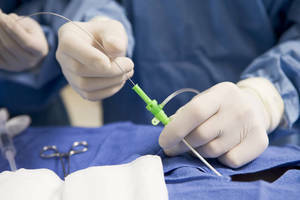 Medical disposable assemblies bonded with Dymax adhesives include catheters, tube sets, reservoirs, respiratory masks, syringes, and oxygenators. 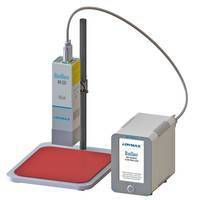 Dymax MD® adhesives are compatible with gamma, EtO and E-Beam sterilization. 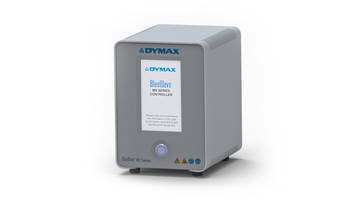 Dymax Corporation develops innovative oligomer, adhesive, coating, dispensing, and light-curing systems for applications in a wide range of markets. The company's products are perfectly matched to work seamlessly with each other, providing design engineers with tools to dramatically improve manufacturing efficiency and reduce costs. Major markets include aerospace, appliance, automotive, electronics, industrial, medical device, and metal finishing. For additional information, visit www.dymax.com or contact Dymax Application Engineering at info@dymax.com or 860-482-1010.